4 weeks of card-slinging fun. 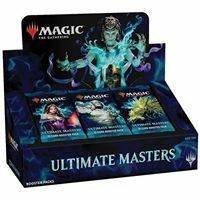 Players are issued with 3 Ravnica Allegiance booster packs at the start of the League. From these boosters players construct an initial 30 card deck and then duel against other players in the League in single game matches. Once per week players will be entitled to add 1 additional booster to their card pool, at the discount price of only $5 per booster. Additionally, once per week, if a player is beaten by 3 consecutive players then they will be eligible to add a 2nd additional booster to their pool for the week, which will also be at the discounted $5 pack price. 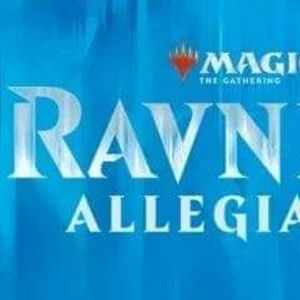 At the end of the Ravnica Allegiance League the player with the most recorded games/matches will win a FREE War of the Spark Prerelease entry. All players who complete 10 or more games/matches will receive a special League foil prize card. There may also be other promo cards and prizes added to the prize pool, based on how many people participate in this 4 week league. Players will be personally responsible for the safety and accuracy of their "League Record Sheets", and to carry these sheets along with their decks. It will also be each player's responsibility to provide these league sheets for scrutiny each time they wish to add a league booster. Players must also provide a completed 4 week league sheet, to be eligible for prizes at the conclusion of the League. All such league sheets must be received by staff no later than March 4th.